For years, Microsoft has been compared to the Borg from Star Trek. 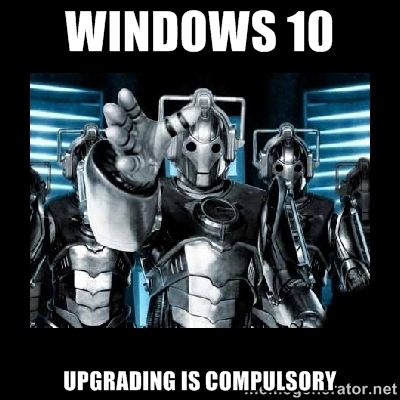 However, with all the bruhaha regarding how they are coercing Windows 7 and 8 users to upgrade to Windows 10, I feel that a comparison to the Cybermen from Doctor Who was more apt. I upgraded my two computers early, but left the other PCs in my household alone. I don’t think that Windows 10 in and of itself is a bad Operating System. However, I do know many who are hesitant to upgrade. 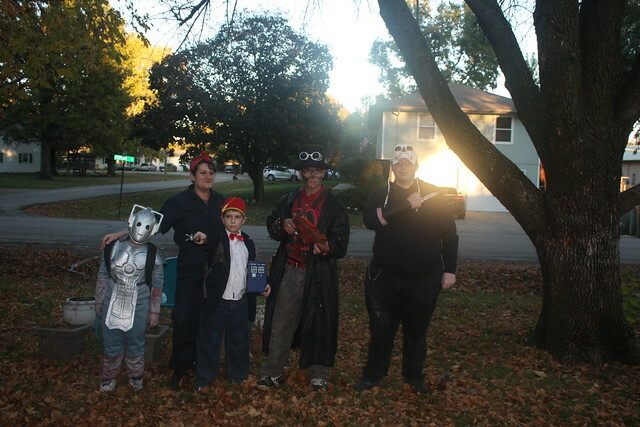 Also, speaking of cybermen, my cousin Sam dressed up as one for Halloween.